Lisa Kay Solomon, Innovation Professor. Best-selling Author. Leadership and Innovation Speaker. An innovation strategist and leadership coach, Lisa Kay Solomon helps leaders develop the ability to build more expansive and creative futures through design-led tools, skills and behaviors. She also teaches innovation and strategic foresight in the ground-breaking MBA in Design Strategy program at the California College of the Arts and Lead by Design Fellows Program. 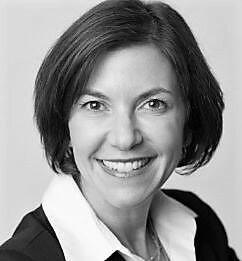 Lisa has worked with executives from organizations such as ING, Toyota Financial Services, Andreesen Horowitz, Singularity University, Stanford University, Herman Miller Inc., Public Broadcasting System (PBS), and Kauffman Program from Venture Capitalists, among others. She has shared her ideas with global audiences through keynotes at innovation, leadership and design and lectures, as well as TEDx and at leading business schools across the country. She is a partner and curriculum architect for Business Models Inc., a global innovation strategy that designs better businesses through highly visual, collaborative, and scalable processes. Lisa co-authored the Wall Street Journal Bestseller, Moments of Impact: How to Design Strategic Conversations that Accelerate Change, as well as the recently published Design a Better Business: New Tools, Skills, and Mindset for Strategy and Innovation and her work has been covered by WSJ, Inc., Forbes, Huffington Post, Business Week, and more. Lisa earned a BA from Cornell University and an MBA from New York University-Stern School of Business, where she was a scholar-based leadership fellow.